If you want to achieve your personal best you have to find new ways to break through the barriers that limit your performance. Acid Zapper is the breakthrough mineral supplement from TAMER Laboratories that helps competitive athletes maintain pH health, improve performance, reduce fatigue, and speed recovery. Safe, healthful, noticeably effective, Acid Zapper delivers real results to real athletes. With its patented Alka-Myte, Alka-Plex mineral formula, Acid Zapper naturally controls the acidic wastes generated when food is metabolized during intense athletic exertion. ACID Check now available! If you want to achieve your personal best you have to find new ways to break through the barriers that limit your performance. Acid Zapper is the breakthrough mineral supplement from TAMER Laboratories that helps competitive athletes maintain pH health, improve performance, reduce fatigue, and speed recovery. Safe, healthful, noticeably effective, Acid Zapper delivers real results to real athletes. With its patented Alka-Myte, Alka-Plex mineral formula, Acid Zapper naturally controls the acidic wastes generated when food is metabolized during intense athletic exertion. and tissue free from the excessive amounts of acidic waste generated during exercise. Medicine journals that a supplement's true worth is demonstrated, or its deficiencies made clear. forward to providing the information as a part of our obligation to all who may use our products. lactate responses in Well-trained competitive Nordic skiers before and after a 7-day loading period. be free of anabolic androgenic steroids and stimulants. possible biases that could be introduced to the trial by the researchers or the patients are eliminated. better results than the placebo control group, then the treatment has passed the trial. "During my final build for IMUSA Acid Zapper improved recovery and during the event my performance was never hindered by lactic acid build up. I did a 1000TT short course yards and broke 14 minutes for the first time. My experience with Acid Zapper was better than I expected." Portland, Oregon. "As extreme athletes, we are constantly pushing our bodies to achieve that next level in performance and in the process leave our bodies vulnerable to breakdown. Our ability to race fast depends on the intensity of training and quality of recovery. Acid Zapper has proven tremendously beneficial by buffering the effects of metabolic stress and breakdown that result from heavy training loads. Less damage has meant a faster recovery, improved quality of training, and a healthier body day after day. Thanks again Acid Zapper!" "I have been using Acid Zapper consistently since August 2006 and can attest to its effectiveness regarding lack of soreness after epic days on the bike with the youngsters. I can say without a doubt that Acid Zapper�, helps me go harder longer and recover quicker than anything I have tried in the last 35 years of experimenting with natural, vitamins, herbs, and drinks." Jay Marschell, "Coach Jay Training"
"When you train hard your system's pH becomes very acidic. With Acid Zapper you better control your alkaline levels and thus perform better. My legs feel much better on a consistent basis since I have been taking Acid Zapper! No one likes how painful going hard can feel on your muscles. With Acid Zapper you'll feel better and go faster." Scot Mendelson is an American powerlifter and Acid Zapper user. He is the current world record holder in the raw (unassisted) bench press with a 715 pound press at the New England Bench Press Classic on May 22nd, 2005. He also held the world record in equipped bench press. Mendelson pressed 457.5 kg (1008 lb) on his first attempt at the Fit Expo at the 2006 Iron Man Bodybuilding contest on February 18, 2006. The event also included the APF Mendelson Bench Press Classic in Pasadena, California. Conrad Stoltz Wins XTERRA West Cup "Must be the Acid Zapper!" LOEWS LAKE LAS VEGAS RESORT, NEVADA. 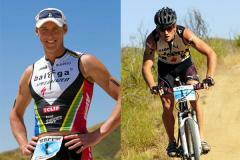 The "Caveman" and the "Queen" of XTERRA - Conrad Stoltz and Melanie McQuaid win XTERRA West Cup. "Must be the Acid Zapper!" 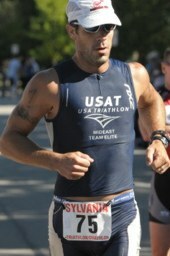 Defending XTERRA U.S. Pro Series and three-time World Champions Conrad Stoltz and Melanie McQuaid proved once again to be the best in the sport by surviving major challenges from a loaded pro field at the Loews XTERRA West Cup at Lake Las Vegas, Nevada this afternoon.